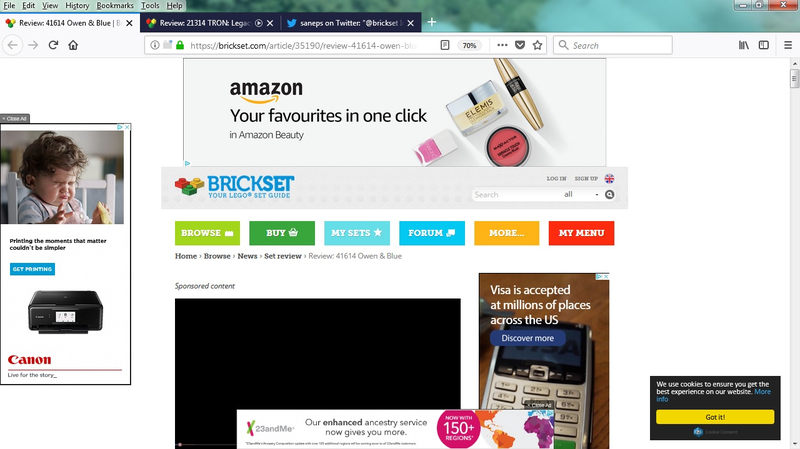 Too many ads on Brickset? See the attached image - five ads on one view; rather off-putting . . . Try signing in. I get none. When you sign in, it goes ad free. But it must put off a lot of new people . . .
@Huw - Would it be possible to alter the sequence that the screen loads, or add a few seconds delay before the adverts appear? The top advert causes the positioning of the 'LOG IN' button to jump down from it's initial location and so I often end up inadvertently 'clicking' on the advert - even though I didn't! And, a small suggestion - Would it be possible to disable the top advert banner when you click on the Brickset Forum login? Sometimes it takes a few seconds to load, and tends to lock the text boxes of the login window whilst doing so. My broadband is relatively quick (16mb) and I use a 7th Gen i3 SSD laptop so I assume it's not just me...! Just check the Stay logged in box (unless, of course you are using someone else’s computer). Actually it's just impressions not views nowadays. the funny thing is the whole site is a huge ad for Lego, do they pay you? @Huw and are there links for other countries than just the usual ones? 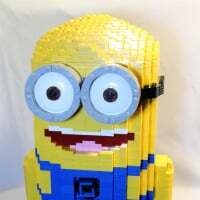 I'm from Portugal and I'l like to help Brickset when I order from [email protected], but there is not link for me... How can I help? Unfortunately LEGO doesn't operate an affiliate scheme in Portugal, but thanks for thinking of us! @Huw ; I'm assuming Ireland is in the same boat? Yes, everywhere that we don't already provide links for! Perhaps you need to find a different host that doesn't charge such a ridiculous amount that you need this many ads. That is, unless by "pays the bills" you mean something other than the cost of the site like your electric bill, grocery bill, or parking tickets. I don't have my browser set to full screen so that I can multi-task and when I visit this site, I'm greeted with a banner across the top that takes up about 30% of the page, a banner down the left side which takes up another 20%, a banner across the bottom which takes up another 10% and then an ad on the right side which takes up about 20% more. I'm left with less than a fifth of the actual page visible which more or less means nothing. So, after I click "close ad" on the upper, lower, and left ads I can finally read the content of the entire page. That is, until the video ad pops up in the lower right corner. Video ads are odious because they slow down older browsers and computers. While this is not a problem on my laptop, it is a problem on my older desktop and I can only imagine how bad it is for others with older computers. Making it worse, the video ads don't always close when you attempt to do so. In the last few years I've stepped further and further away from Lego in general and this site specifically. The over-emphasis on the UK (I get it, a lot of your staff are from the UK but that gorgeous island is a tiny sliver of the world and increased focus on it results in too much content being completely useless for most people) and the sycophantic reviews aside, it's become less and less functional, ironically as a result of the addition of more and more worthless features that seem to have driven you to pollute the site with these obnoxious ads. I realize Lego is a toy and hence you've got a lot of younger users who like the features you've incorporated but for those of us who appreciated the site as a database resource the cost of these features, both literal and figurative, has damaged your usefulness. I used to visit this site several times per day. Now I visit a couple times monthly and half of those times I head over to some other website the second the ads pop up and I'm reminded why I'm so less frequent a visitor. Function should take precedence over the bells and whistles, especially if those bells and whistles aren't even that useful but necessitate ads which turn off people from even visiting your site much less using it. P.S. - I'm aware that logging in removes the ads but I am also aware that if I log into the site on one of my computers, I'm apparently logged out on the other. The result is that unless I only check on one computer I've got to log in rather routinely and hence am assaulted with the ads far more than the "log in to remove the ads" solution can fix. While that situation may not apply to all users, for those who don't log in or new users this site has become a nightmare upon approach. That doesn't happen to me and it shouldn't happen, AFAIK. I'm logged in on 2 desktop computers, a laptop and my phone without any trouble. I get logged out randomly, but I haven't worked out a pattern to that. Since I likely log in less frequently than you, chances are it may just be the same random log out that you're experiencing. My point is that when I do visit the site, I almost always have to log back in and hence I'm bombarded with the ad spam that often inspires me not to bother and just to go head to some other site instead. You can log in to multiple devices as others have said. I am logged into four at the moment. The authentication cookie lasts for 1440000 minutes, or 1000 days, so it shouldn't keep expiring unless your browser clears them out or something. Yes, there are too many ads. Yes, they do pay for more than the hosting. Brickset is my full time job, and Chris' too. I want to keep it that way, but also keep the site free to use, and free of ads for regular users. Luckily, enough casual ones visit to make that possible. If you don't like the 'more and more worthless features' (please elaborate) then ignore them and just stick to using the database, which is much the same as it'a always been. It's funny. I used to find there was too much US and European (non-UK) based information, until I turned off the US and European shopping and events, amazon watch for everything but .co.uk, etc. Of course, you need to log in to do that. I use an ad-blocker for all my browsing-it works wonders. Clearly, not enough links to purchase Star Trek Kre-O products. Anyway, I wouldn't put much weight into some rather random criticism apparently unrelated to the original query. I also take offense to the implication that it is inappropriate or untoward to generate personal income from the site. I appreciate your time and energy relating to the site and you deserve to be compensated. Brickset is not a charity, and your time is valuable. Bottom line - just log into the site! Magically, the ads disappear. If the over-abundance of ads for a non-logged in viewer was hurting the site, then I can think of a couple of guys that are highly motivated to make adjustments. I'd also like to know what useless 'bells and whistles' have caused the database to be less useful. I'm pretty sure the database still does all of things it's supposed to do. I like the mix of input and info from the US, UK, and elsewhere. When I want shopping info for the US, I know where to go. Yes, for some people it is good to see multiple inputs for different subjects, for others not. Which is why the customisable part is perfect. I don't really care about shopping in the US, as rarely can the stuff be shipped here and if it can, it is normally expensive. So it is better for me to not see that data. And it is simple for me to do that. Then there is no longer an over emphasis (or any emphasis) on the US for me. 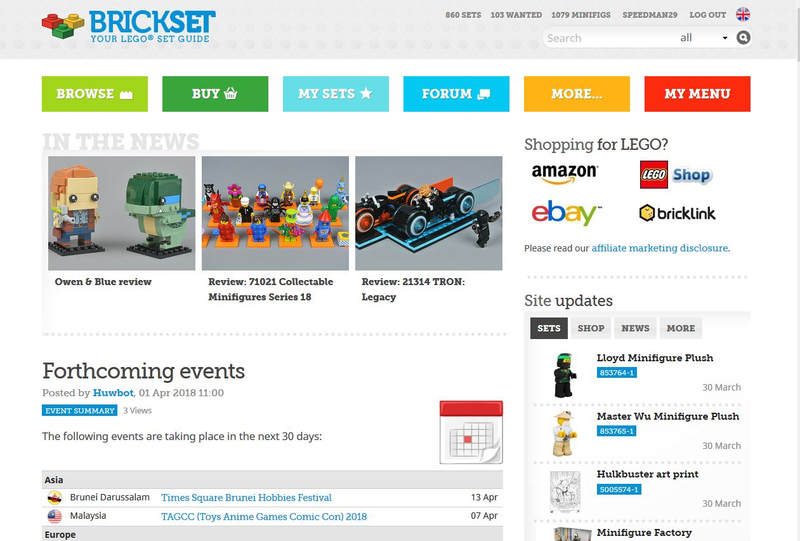 Thank goodness Brickset is a UK-based and UK-centric site! As a citizen of the USA, that may sound a bit odd to proclaim, but look at the facts, my fellow Americans (and any other nationalities not named the United Kingdom): Lego and Great Britain have gone together like two peas in a pod for a very long time. The company and the nation have enjoyed a very close relationship, evident in major milestones in the company's history. First LEGOLAND park outside of Denmark? In the UK. Which one Lego Store got more UCS Falcon's at midnight release last year than probably all USA store locations combined? The Leicester store in the UK. Which nation produced a whole TV series about people building with Lego, not to mention a couple of documentaries? You guessed it...the UK. It's not just close geographic proximity to Denmark (although that definitely helps). The Lego fans of the UK will seemingly always get the coolest stuff and events, and that's fine as long as we have sites like Brickset, being based out of the UK (and most importantly, communicate in English), that can share news about all that with the rest of the English-speaking world...you know, like "us" Americans. The only peculiarity that the author of that large post above I might parse more thoughtfully would be his mention of "sycophantic reviews". This was a phrase I would bandy about when talking about a site like Eurobricks, but not with Brickset. I considered his statement carefully, and the only thing I can figure is that perhaps he doesn't realize that aside from being a database, Brickset has always focused on reviewing and assessing the "promotional" side of Lego--polybags, gifts-with-purchase, minifigures, pods, and any other "small" or "exclusive" products to come out of Denmark. Nowadays, that has branched out into small Lego sets in general (Brickheadz, Mixels, battle packs, etc.) 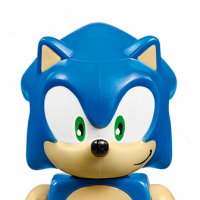 and frankly, I can understand the frustration of loading up the site for a couple of days in a row and finding back-to-back reviews of yet another Brickheadz set or another collectible minifigure when you think of "Lego" and think large, fun sets and magnificent AFOL-intended models. I personally don't know the facts behind what gets chosen for review or the frequency of any series of reviews, but I don't think anyone can complain about them being generally sycophantic. A bit focused on what reviewers are already inclined to like anyway (polybags, Brickheadz, etc.)? Yeah, sure, maybe. But you can't write off all the reviews like that! For every five Lego promotional "pod" set review, there is a glorious "Throwback Thursday" review of some amazing set that deserves the spotlight and much discussion. And at least for me (until set review articles become filterable by theme), that makes it all worthwhile. ^ Thank you for that! It's inevitable that we review the sets we like, particularly if we are buying them ourselves, and it's also inevitable that when LEGO kindly send us a batch to review (e.g. JW), that we concentrate on them for a week or two. We don't just do small sets but of course reviews of smaller sets are much quicker and easier to prepare so will appear more often. There's no logic and not much planning: we just review what we have in hand that we think will be interesting. Also Brickheadz is about all that happened in the last month. There wasn't much else to review or post news about. Some people just enjoy complaining. The Lego fans of the UK will seemingly always get the coolest stuff and events, and that's fine as long as we have sites like Brickset, being based out of the UK (and most importantly, communicate in English), that can share news about all that with the rest of the English-speaking world...you know, like "us" Americans. The grass is always greener. I think the US often gets the coolest stuff and events. The only peculiarity that the author of that large post above I might parse more thoughtfully would be his mention of "sycophantic reviews". .... 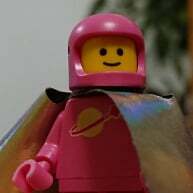 I can understand the frustration of loading up the site for a couple of days in a row and finding back-to-back reviews of yet another Brickheadz set or another collectible minifigure when you think of "Lego" and think large, fun sets and magnificent AFOL-intended models. I personally don't know the facts behind what gets chosen for review or the frequency of any series of reviews, but I don't think anyone can complain about them being generally sycophantic. I did wonder why they don't just put reviews in a reviews section and not have them as newsfeed. But then, like everyhting else, it is so simple to just turn off the reviews in the newsfeed if you don't want to see them. This could possibly be improved though. It is probably too much to have a button for every theme, but it might be worth breaking the reviews into licensed and non-licensed, or maybe by size (something like polybag / CMF, small sets, large sets), so that people could turn off reviews of sets they don't like. That said, I have reviews turned on, and it is simple to skip past the title if it is not interesting. I prefer reviews here to eurobricks, I find them a bit more truthful. And a lot less long-winded, especially the CMF ones. Why use a few decent pictures of just the set at hand, when you can use 1000s of words and loads of pictures taken mixing in lots of other figures from other series, eurobricks style. But even there, if they have their review up first, I tend to skip the text, look at the parts, then look at the figure at the bottom for the distribution and skip all the long winded text. The mixed in pictures are annoying as it makes it slightly harder to see the actual figures from this series. It wouldn't be so bad if these were all at the bottom, with just the series at hand described first. This could possibly be improved though. It is probably too much to have a button for every theme, but it might be worth breaking the reviews into licensed and non-licensed, or maybe by size (something like polybag / CMF, small sets, large sets), so that people could turn off reviews of sets they don't like. That said, I have reviews turned on, and it is simple to skip past the title if it is not interesting. That's a great idea, with regards to the categorization of set reviews. Make labels for generic types, like "polybag" or "Giveaway", so those that don't really want to read those can turn it off in their newsfeed preferences. And you summed up my perception of Eurobricks reviews pretty well. Definitely too long winded and seem almost suggestive of being more about showing off the reviewer's other rare or desirable items in addition to the set being reviewed. It's a difference of perspective. Some people are fine with just not doing what they don't want to do, whereas others feel personally insulted when given the suggestion. For example, one could dislike reading Brickheadz reviews, and therefore not do it; or one could dislike Brickheadz reviews, and therefore avoid the site. You could hate talking to someone and being around them, and therefore avoid them; or you could hate that person, and therefore try to kill them. On the topic of the original post, I think the OP hit the nail on the head. If only guests are affected by the ads, then it could turn off new members. But if you're looking to join the online Lego community in general, you'll likely be linked to this site frequently enough to warrant an account anyway. It's one of the most significant Lego fansites out there.